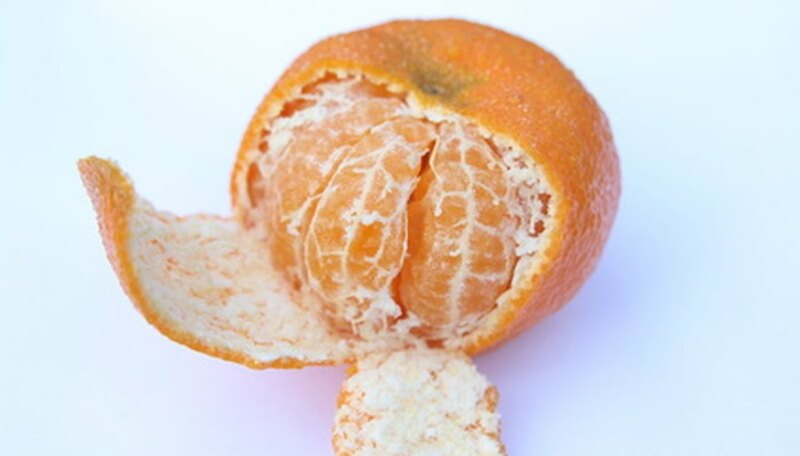 Satsumas are related to Mandarin oranges and to tangerines. These thin-skinned oranges are small and sweet, and grow well in many parts of the United States like Florida and Texas. Caring for your trees will help increase tree health and fruit yields, and is not difficult. Satsumas get sweeter the farther north you grow them in your range. These trees are one of the more cold tolerant oranges and have been reported, by Citrus Tree Care, to have survived temperatures as low as 4 degrees Fahrenheit. Satsuma oranges are best suited for USDA Hardiness Zones 9 and 10. Satsumas, like most other citrus, need plenty of water, especially after flowering as the fruit is growing. Keep your trees moist by feeling 1/4 to 1/2 inch down. Soak your tree whenever the top of the soil begins to feel dry. Water daily, if necessary. If your area gets a lot of rain, water the tree every week or so. Don't fertilize your Satsuma its first spring. Fertilizers can burn the root system in the newly planted tree. If you fertilize the first summer, use a gentle organic fertilizer. Fertilize twice in the spring and twice in the summer with a balanced fertilizer in subsequent years. Satsumas, like all citrus fruit, need plenty of sun. Try to plant this tree in full sun, but in an area that is protected from wind. Try to plant your tree, if you are growing outdoors, on high ground. In some cases, cold air can pool in low-lying areas. This cold air can be significantly colder than higher orchards and could potentially damage your tree. Higher areas also don't suffer from potential shading of hill or gully sides. In most cases, you won't need to prune your Satsuma orange tree. However, if you are growing the tree in a pot or in a constrained space, you may need to do some gentle pruning. Prune in early winter, if possible. However, you can do minor pruning any time of the year.